Just recently, I reached the weight goal that I set for myself at the beginning of the year. I am pretty proud of myself for meeting my goal, but now I need to settle into a good routine so I can maintain my healthier choices. I have really backslid (backslided? backslode?) on my daily water intake, so remedying that is my first mission. I went to Walmart and picked up a hard sided Brita water bottle. 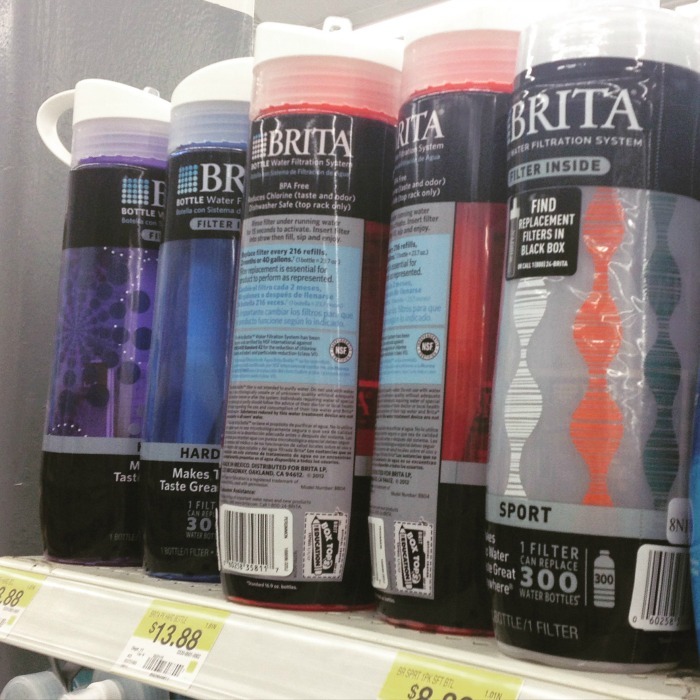 I found these water bottles in the hardware section, by the other Brita filters. I went back and forth, trying to decide between the hard and soft sided varieties, but the pretty purple color won me over. The bottle has markings on the side, so you can keep track of how much water you are drinking throughout the day. 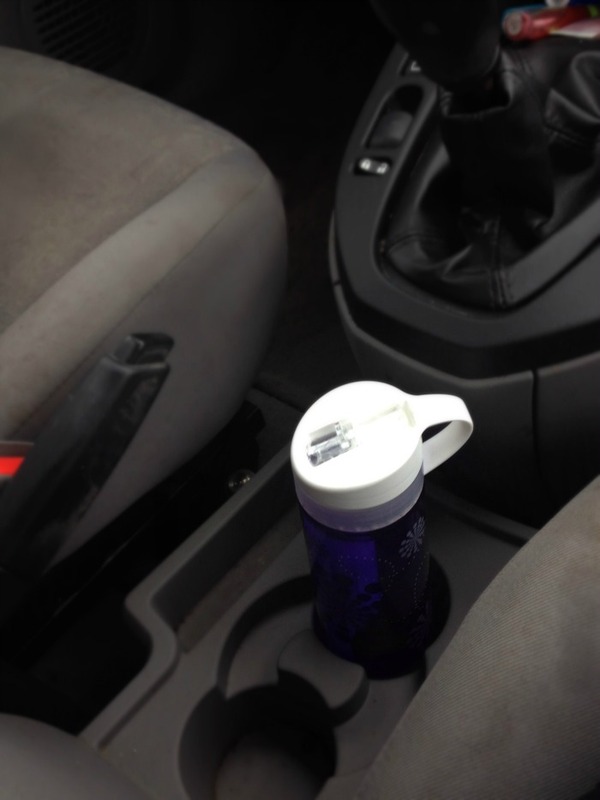 I fill my bottle up after my morning coffee (because priorities) and anytime it runs out over the course of the day. 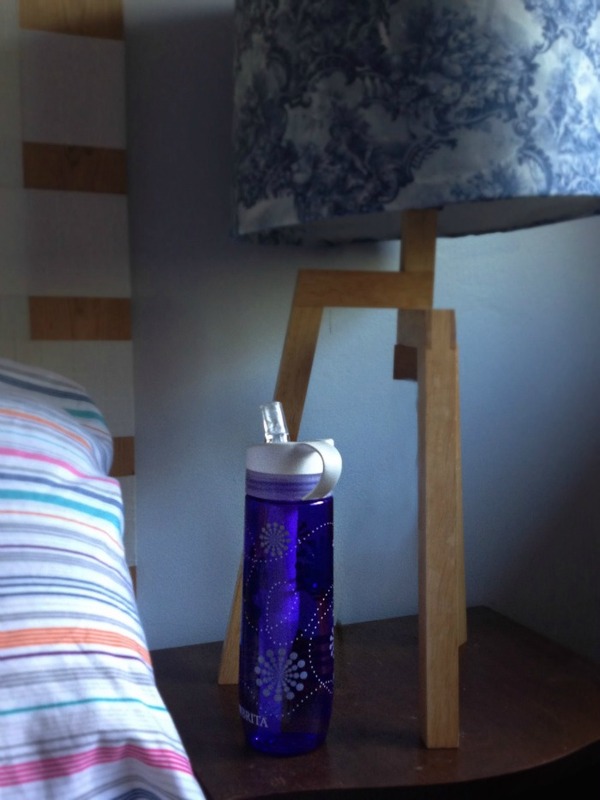 Since the bottle is equipped with a fabulous Brita water filter right inside, I can fill up with tap water or at a drinking fountain, and I don’t have to worry about any funky tasting water. 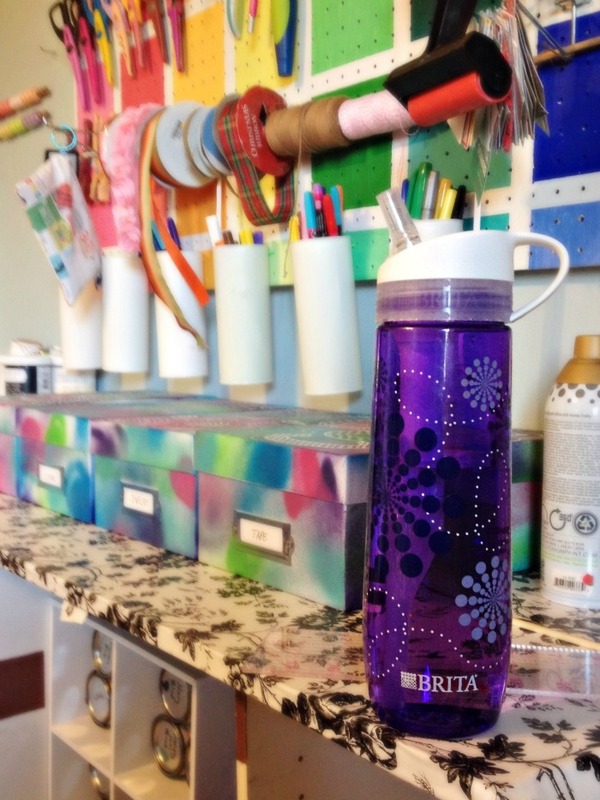 My water bottle has become my own personal sidekick, and it comes with me everywhere. Keeping a full bottle with me when I run errands? Check. 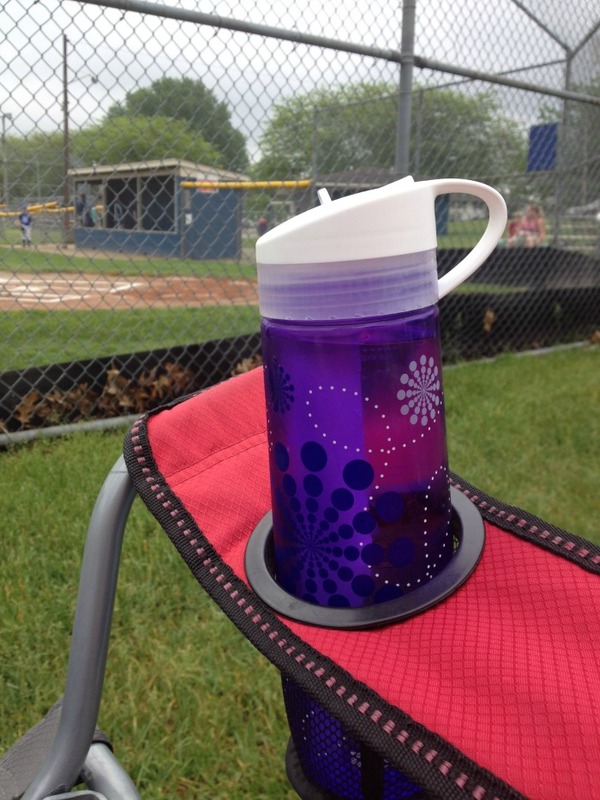 Staying hydrated at my kids’ eleventy-billion baseball games? Dunzo. Having a fresh drink of water in the middle of the night? Absolutely! By making sure to keep my water bottle with me throughout the whole day, I have greatly increased the amount of water I drink daily, and decreased the juice/pop/caffeinated whatevers that I used to consume. What are your best tips for increasing your water intake throughout your day? cool bottles! Water is *so* important and I’m *always* falling short ! That purple with the design is so pretty! My Walmart didn’t have that one…booo! That’s cute. Is it pretty leak-proof? I am thinking of getting these for my kids too! I got the kind where the straw folds down into the lid, so I haven't had any issues with leaking. I can't speak for the squeeze bottles, since I haven't tried those. Cute bottle… I need a new one!